The 2015 Season is upon us and we are excited to be branching out to our own team as well as continuing to compete with The Bastey Boys. Our past 2 seasons with Andy King have been amazing and we look forward to another year with him! The 2015 Season will be continuously updated, so be sure to check back occasionally. May 14-16 ~ Memphis In May World Championship Barbecue Cooking Contest ~ Memphis, TN ~ with The Bastey Boys……. Results: 1st place Mustard Sauce!! 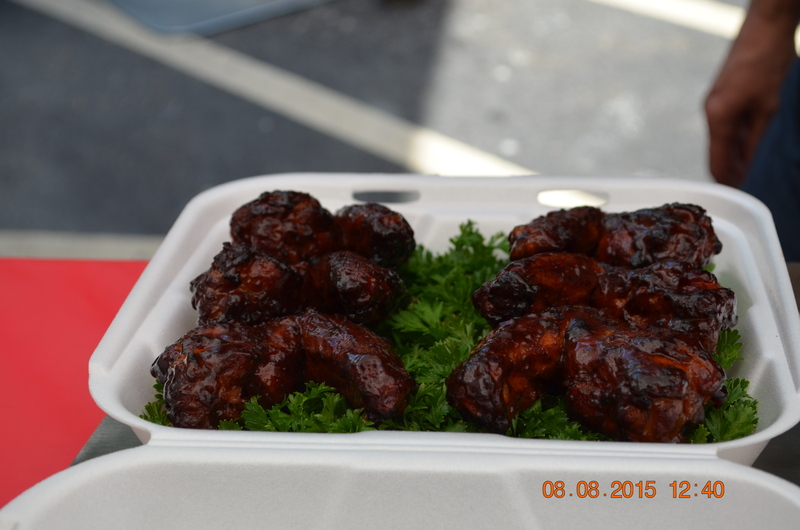 August ~ Middleboro Krazy Days ~ Middleboro, MA……Results: 2nd place Chicken Wings, 1st place Ribs for overall Grand Champion!! 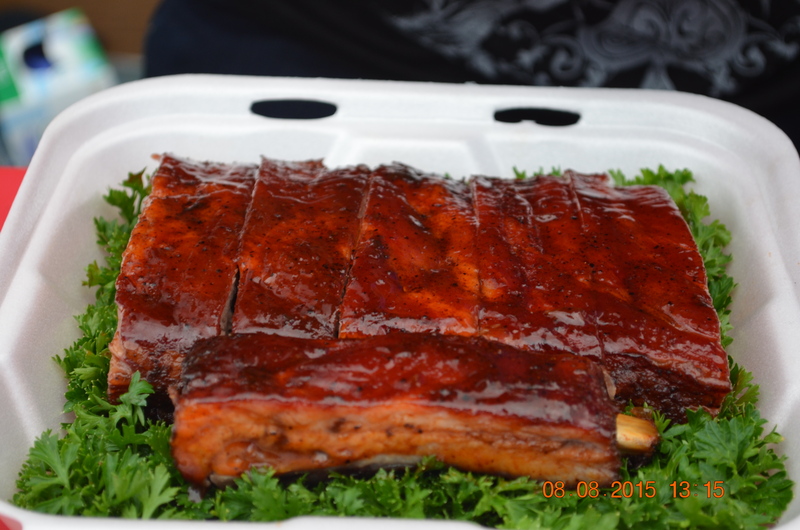 August ~ PACC of Webster ~ Webster, MA……Results: 2nd place Kielbasa, 3rd place Steak, 1st place Seafood (our first 180! 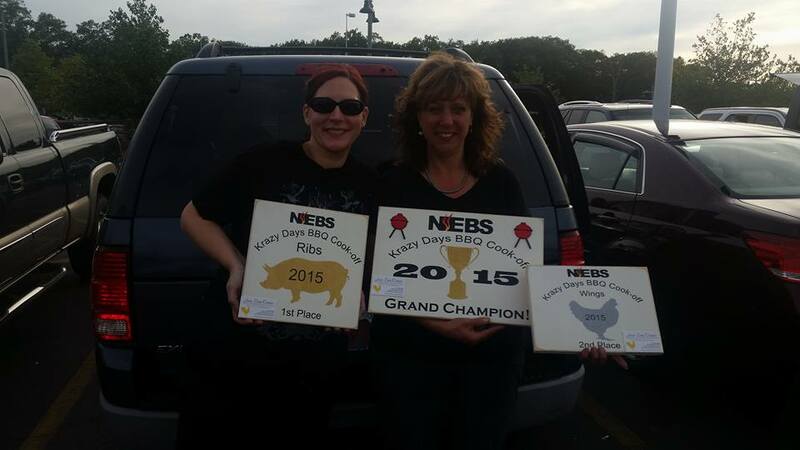 ), 1st place Chef’s Choice – Dessert (our 1st PERFECT 180) for an overall Grand Champion NEBS! 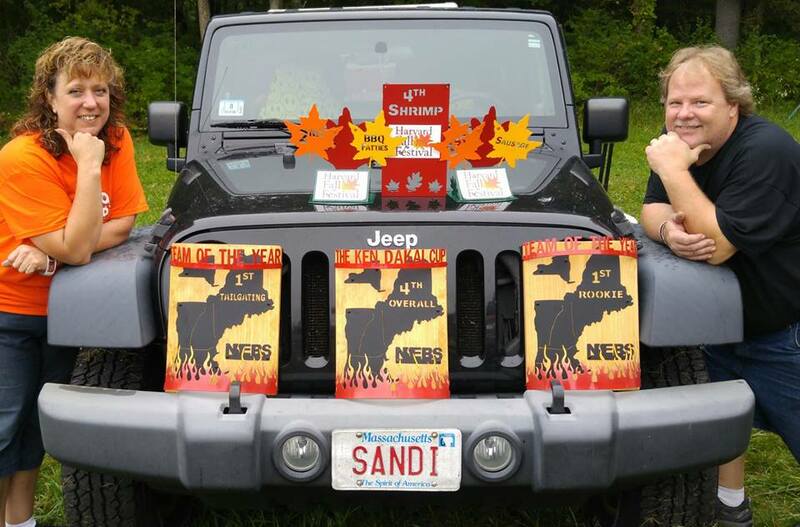 September ~ Harvard Fall Festival ~ Harvard, MA……Results: 4th place Shrimp, 2nd place BBQ Fattie, 11th Grilled Chicken, 6th Dessert for an overall 4th place! Our friend Mike competed in the People’s Choice competition and brought home a 1st place in Sausage! Harvard (this year) is the end of the NEBS Team of the Year Awards ~ we were very fortunate in receiving 1st place Tailgating TOY, 1st place Rookie TOY and 4th place Ken Dakai Cup TOY! What an amazing weekend!! It’s the end of our season for competing – be sure to watch for our listing of 2016 contests!